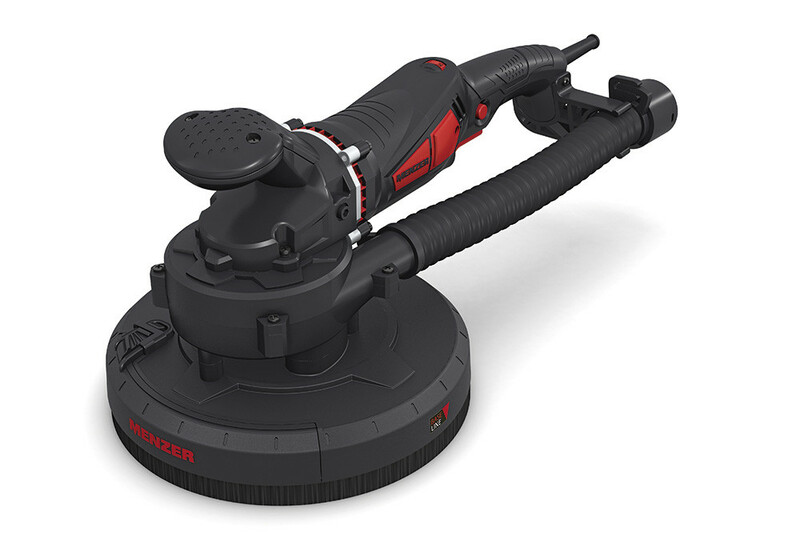 A machine for professional or DIY use, long or compact, with or without replaceable head – MENZER has the perfect wall and ceiling sander for the job! Our BASE LINE machines were developed with DIY enthusiasts in mind and their solid design and easy operation guarantee excellent results every time. Our PRO LINE models are designed for intensive, continuous operation and fulfil all requirements of professional tradesmen. Variable length and integrated dust extraction unit. 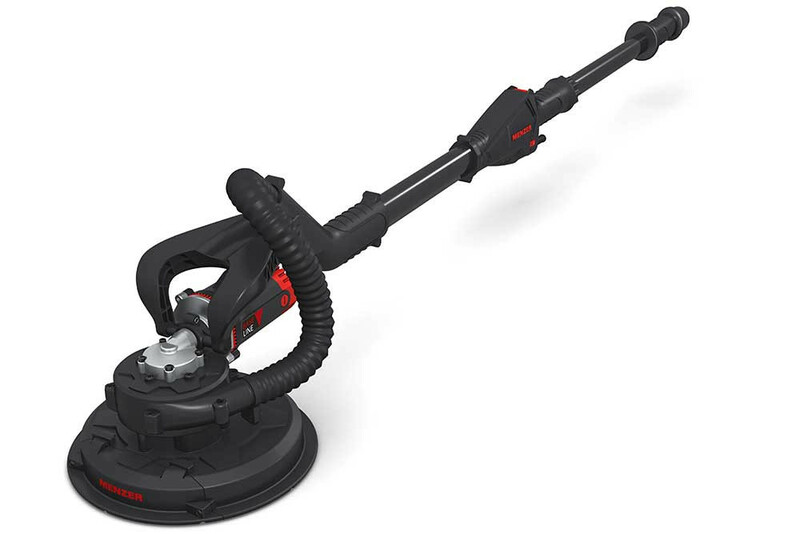 The compact workhorse – with replaceable head system. Drywall construction is a great option for creating customised spaces. It allows the quick implementation of suspended ceilings and partition walls for commercial as well as private use and is comparatively low cost. The innovative wall and ceiling sanders by MENZER help get the work done exceptionally well and efficiently. MENZER product developers are fully aware of the various challenges posed by interior work. That is why the MENZER product range includes a wide range of wall and ceiling sanders. 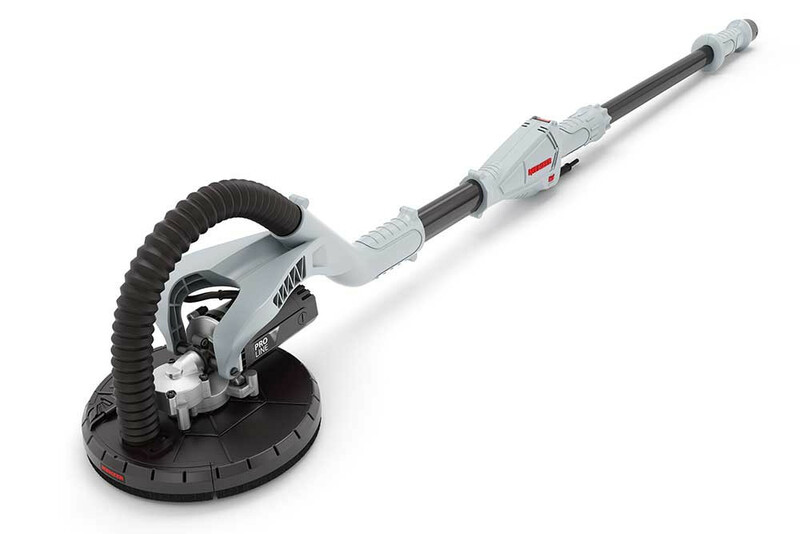 MENZER has the perfect solution for any requirement: We offer drywall sanders with integrated dust extraction units, sanders with variable replaceable heads, and drywall sanders with a telescopic extension system to take care of virtually any job in interior work. MENZER wall and ceiling sanders are rugged and robust, offer a very long service life and ensure comfortable handling. MENZER LHS 225 and MENZER LHS 225 PRO sand high ceilings and walls without any problem and guarantee continuous and efficient operation. The variable work length of the LHS 225 PRO VARIO (1.55-1.95 m) allows efficient work completion at heights that would otherwise require ladders or scaffolding. MENZER’s more compact wall and ceiling sanders are perfect for working in tight or multi-angle spaces like stairwells or bathrooms. 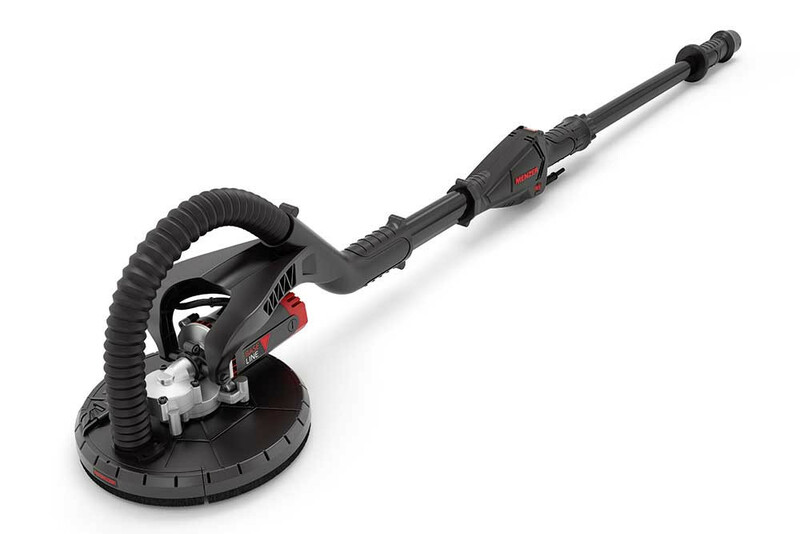 The low intrinsic weight of MENZER TBS 225 and MENZER TBS 225 PRO of less than 3 kilograms and the removable cup wheel tip make these sanders particularly popular choices. Corners and edges are a constant challenge when sanding walls and ceilings. 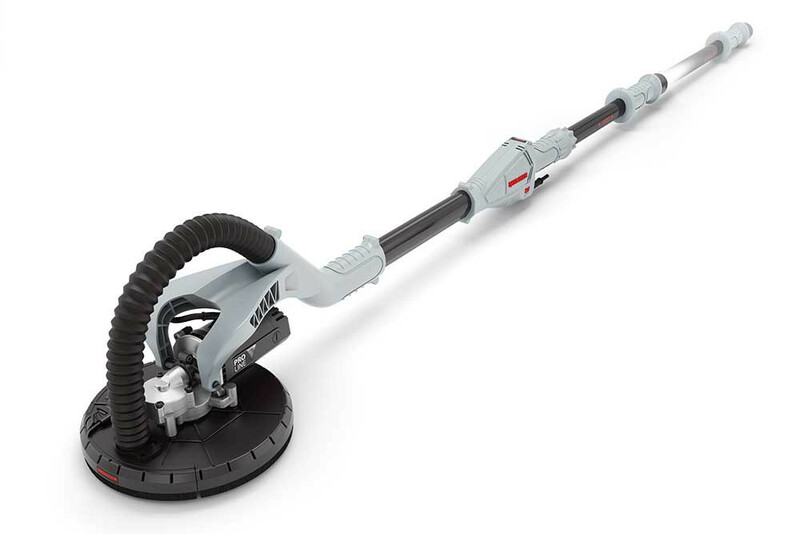 All MENZER wall and ceiling sanders come with a removable cup wheel tip as standard. 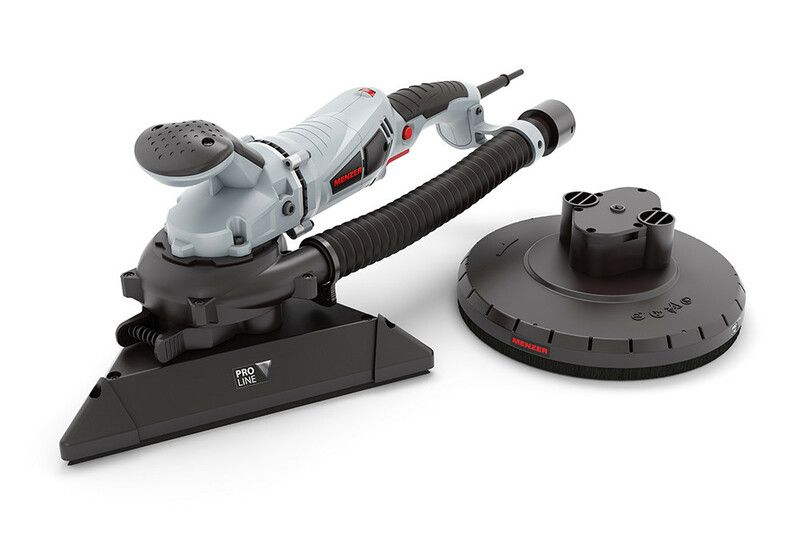 You will have even better results for the sanding of edge areas with a MENZER machine with replaceable head system. That is why our MENZER TSW 225 and MENZER TSW 225 PRO are true all-rounders in drywall construction. Our TSW type wall and ceiling sanders were designed for the sanding of large areas as well as for hard to reach places like corners and edges. 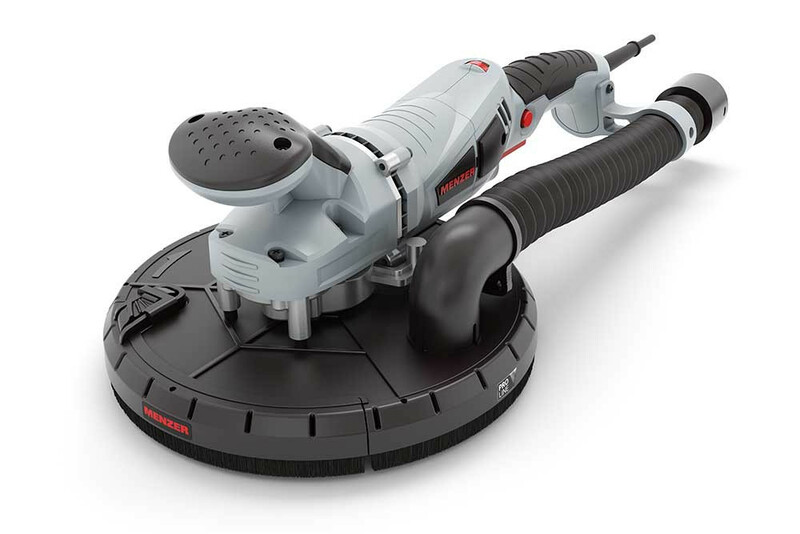 Depending on the driving disc attached, the wall sander will automatically change from rotational to stroke action. 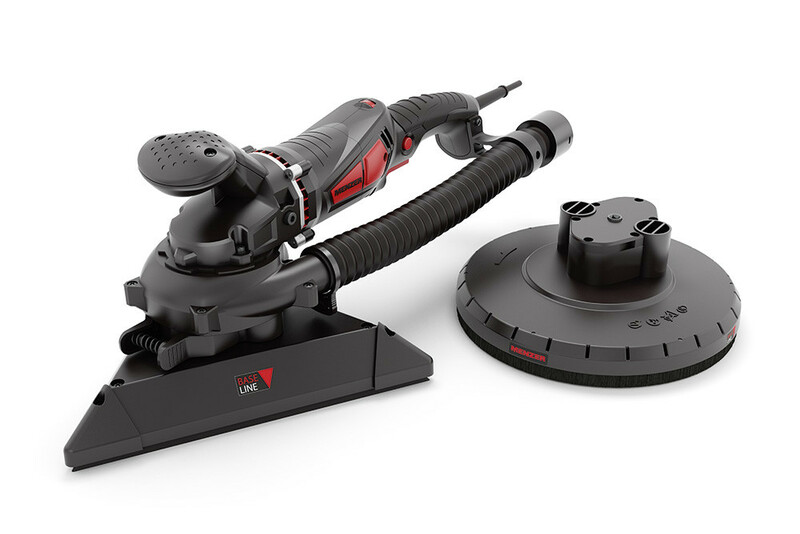 The machine will therefore deliver powerful and precise sanding results in any situation. 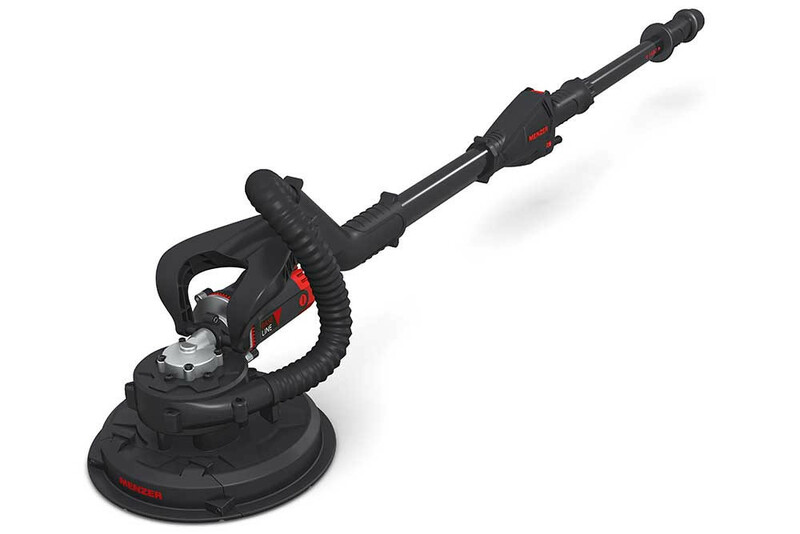 MENZER wall and ceiling sanders come with a connector for commercially available industrial vacuum cleaners as standard and the 6-hole or 12-hole perforated driving disc ensures a healthy work environment. A practical alternative – particularly in the semi-professional sector – are the AV devices by MENZER. 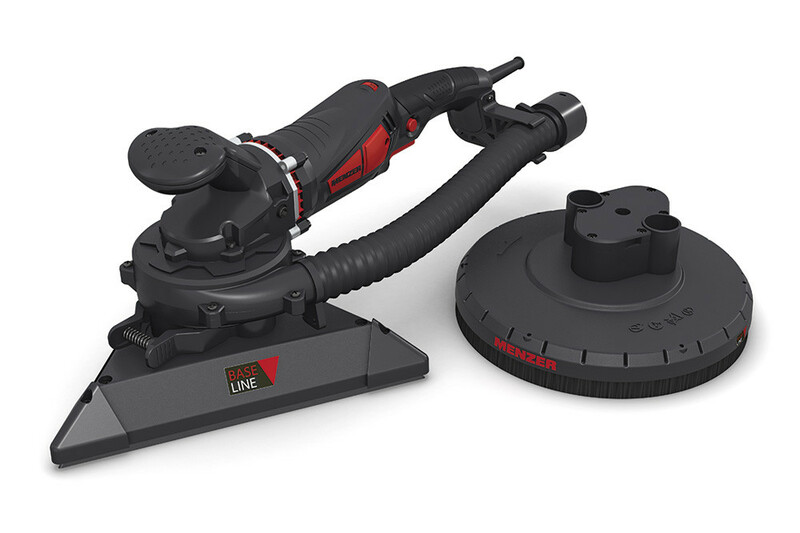 They feature an innovative, integrated dust extraction unit, which absorbs hazardous fine dust efficiently at the source. That is why the MENZER TBS 225 AV and MENZER LHS 225 AV sanders come with a turbine above the driving disc as standard. All the dust generated while sanding is suctioned via the turbine directly into an M-certified dust bag. 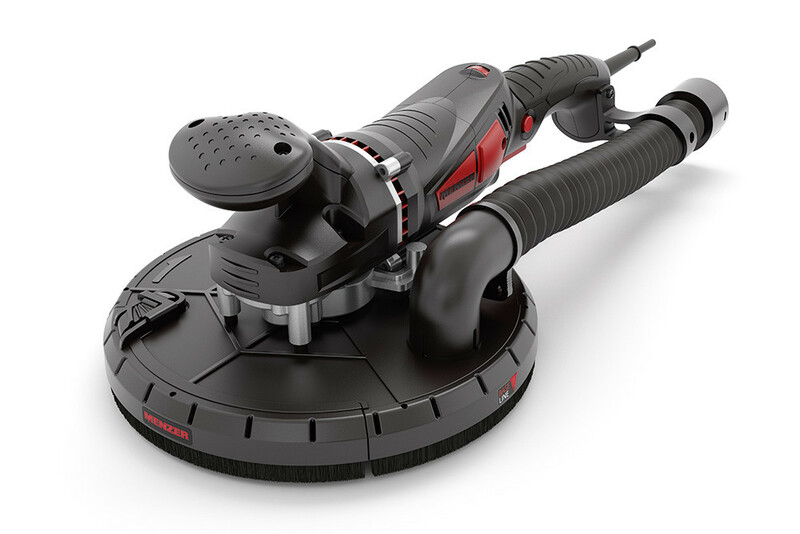 There is no need to connect any of the commercially available industrial vacuum cleaners to a wall and ceiling sander with integrated turbine. The agility of the worker is greatly improved and working in tight spaces or difficult areas like stairwells is made much easier. MENZER wall and ceiling sanders are available in two product lines. MENZER PRO Line was designed specifically for professional and intensive, continuous operation in the drywall construction sector. 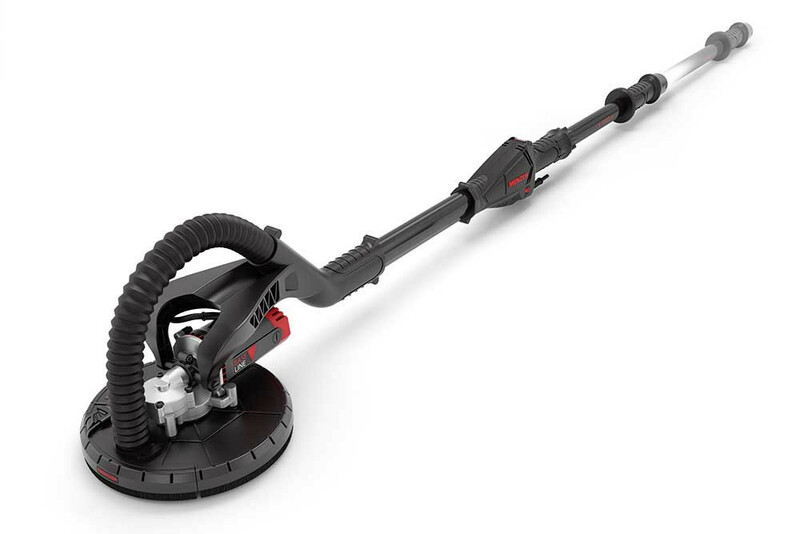 The powerful MENZER TBS 225 PRO and MENZER LHS 225 VARIO wall and ceiling sanders are robust and reliable, offer a very long service life and are extremely versatile in their use. For semi-professional requirements, MENZER has developed a separate product range: BASE LINE. This range is the perfect choice for tradesmen, who do not concentrate solely on drywall construction, and for DIY enthusiasts, who would like to work on their own projects. Drywall sanders like our MENZER TBS 225 are powerful, reliable and robust and very easy to operate.